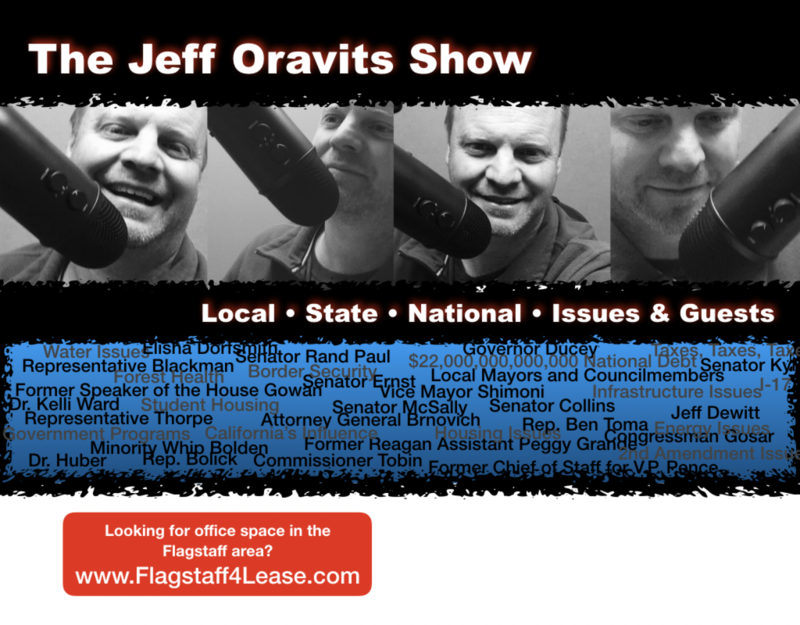 Podcast Thursday Feb7th: Babbott LD6, AZ Concerned Veterans for America, Nunchucks and MVD! Coconino County Board of Supervisor Chairman Art Babbott returns to the show to discuss his run for the Arizona House of Representatives (LD6) as an Independent. Jeff’s made it big! He now has a driver. Did you know nunchucks are illegal in Arizona? Well there’s a bill to make them legal! Joshua Stanwitz of AZ Concerned Veterans for America discusses veterans issues including jobs, housing and PTSD. PLUS, there’s a big fundraising event in Phoenix on Friday. CHECK IT OUT AND SUPPORT THIS CAUSE IF YOU CAN. I loved the State of the Union address and I too think it was a 10 out of 10. Also like you it amazes me no matter how much you dislike Trump, that he doesn’t get the credit for which he is due. He was not my first choice during the election. But if I could have seen all the great thinks he had done, he would have been my first choice and I am so happy to admit how wrong I was about him. We got our increase for our property tax to and can’t believe how high our taxes are getting. We actually pay more for property taxes, then our very first house payment in Prescott. I love your show and how it keeps me informed on all the issues. So I would like to thank you…..for all you do.